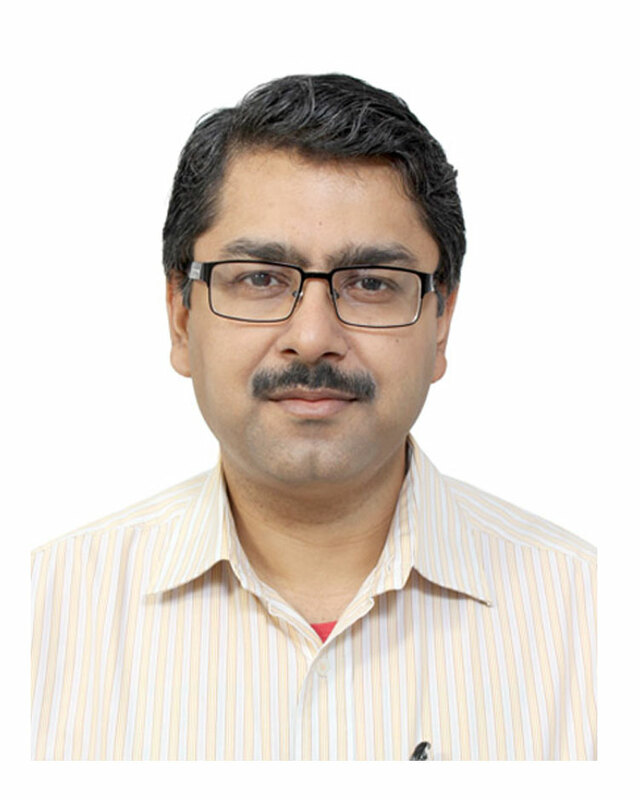 Prof. Abhishek has 15+ years of experience of working, researching and teaching in marketing domain. He has conceptual and practical understanding of issues in marketing communication, consumer behavior, and retailing. During his work experience in marketing domain, he has been exposed to different contexts ranging from rural consumers in far-flung markets to influence of latest technology in consumer purchase decisions. As an academic, his research interests have been in the field of marketing communications, e-commerce and digital marketing, promotion planning, and consumer behaviour in retail context. His current research work looks at advertising issues with public policy implications and role of technology in marketing communications. He is excited to learn and discover the opportunities offered by digital platforms with increasing focus on mobile platforms and technology. Khandeparkar, K., and Abhishek (2017), “Influence of media context on humorous advertising effectiveness,” Marketing Intelligence and Planning, 35 (2), 259-276. Nanarpuzha, R., and Abhishek (2016), “Modelling situational factors in variety seeking behaviour: A conceptual approach,” International Journal of Indian Culture and Business Management, 13 (3), 378-393. Abhishek, and Sahay, A. (2016), “Role of culture in celebrity endorsement: Brand endorsement by celebrities in Indian context,” International Journal of Indian Culture and Business Management, 13 (3), 394-413. Abhishek, and Saxena, R. (2016), “Issues in measuring impact of a skill-building initiative for informal sector: A case of nirman,” Decision – Journal of IIM Calcutta, 43 (4), 401-411. Abhishek, and Sinha, P. K. (2016), “Elements of task definition shopping situations: A study of Indian customers in context of products high on haptic salience,” International Journal of Indian Culture and Business Management, 13 (2), 243-265. Abhishek (2016), “Do time constraint and emergency purchase situation exert same influence on shopping? A study under haptic touch influence,” Journal of Retailing and Consumer Services, 30, 242-251. Abhishek, and Hemchand, S. (2016), “Adoption of sensor based communication for mobile marketing in India,” Journal of Indian Business Research, 8(1), 65-76. Abhishek, and Saxena, R. (2015), “Realigning business strategy to cater to customers with disability (CwD) in the Indian context,” Vikalpa, 40(2), 121-131. Abhishek (2014), “Private label brand choice dynamics: Logit model involving demographic and psychographic variables,” South Asian Journal of Management, 21(1), 49-64. Abhishek, Sinha, P. K., and Vohra, N. (2013), “Role of haptic touch in shopping: Some methodological contributions,” Decision, 40(3), 153-163. “Hippo on Twitter: Tracking Product Stock-outs in Retail Stores”, (2015). Teaching Case – MAR0466 – registered with IIMA. “Won’t Cry Over Spoilt Milk: Amul’s Response to Customer’s Complaint on Social Media”, (2014). Teaching Case – MAR0450 – registered with IIMA. “Safewithme Inc. – Trade Promotions in Rural Markets”, (2013). Teaching Case – MAR0432 – registered with IIMA. “SpiceJet Big Sale Offer – Adding Spice to Air Travel”, (2013). Teaching Case – MAR0431 – registered with IIMA. “Healthcare Products India Limited – Planning Distribution Channels in Rural Area”, (2010). Teaching Case in Rural Management Casebook, published by IRMA. “Hippo on Twitter: Tracking Product Stock-outs in Retail Stores”, (2015). “Won’t Cry Over Spoilt Milk: Amul’s Response to Customer’s Complaint on Social Media”, (2014). “Safewithme Inc. – Trade Promotions in Rural Markets”, (2014). “SpiceJet Big Sale Offer – Adding Spice to Air Travel”, (2014). “Quick Response (QR) Codes in Mobile Marketing Communication”, (2014). Technical Note registered with IIMA. “In-class Exercise on Customer Value”, (2015). In-Class Exercise registered with IIMA. Review of book [“Business-to-Business Marketing (2nd Edition)” (2011) by Brennan, R., Canning, L., & Mcdowell, R. Sage Publications: New Delhi], South Asian Journal of Management, 19(2), 137-140.
Review of book [“Experiential marketing: Myths and realities” (2010) by Kaul, S. Viva Books: New Delhi], Vikalpa, 36(1), 127-128. “Villains or victims”, published in The Hindu BusinessLine, April 22, 2016. “The Role of Haptic Touch on Product Evaluation in Different Shopping Situations” – dissertation proposal presented at IIM, Ahmedabad Doctoral Colloquium, in January 2009. Previously worked with government and social sector organizations in different marketing positions. Has travelled extensively in India and has been involved in planning and implementing social marketing projects for different products and services. Member, Governing Board for Research Institute for Compassionate Economics (RICE), a non-profit organization started by Harvard University and Princeton University alumni, working on health and sanitation issues in rural India. Member, Advisory Board for Kaushalya Foundation, a non-profit organization started by IIM Ahmedabad alumni, working in Bihar with vegetable supply chains. Editorial Review Board Member for Journal of Global Marketing.